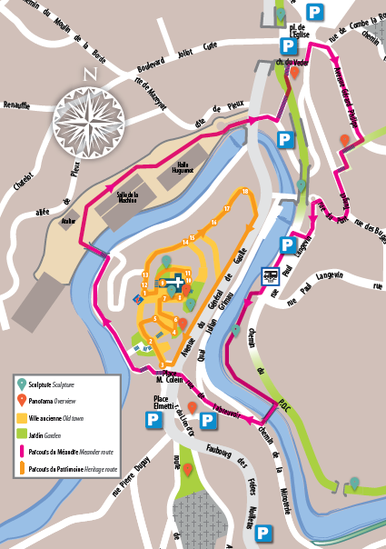 Uzerche Heritage Route - Site de visituzerche ! Listen to our heritage telling you our history secrets. This route shows you an overview of the Uzerche history, art, architecture and human heritage. It is an evidence of those who made Uzerche, its renown and influence. Explanatory plaques make you discover the history and the anecdotes about the Pearl of Limousin. 3 – Stairs of the washing place. Go back through the General de Gaulle avenue or through Tayac avenue.